Bringing Terroir Talk To Tuscany : In Conversation With Charlotte Horton - Good Food RevolutionGood Food Revolution | Wine is food. Good Food Revolution’s close relationship with Arlene Stein’s Terroir organisation goes back many a year, and so we were delighted to hear that from November the 3rd to the 10th Terroir Talk was travelling to Tuscany to partner with Charlotte Horton of Castello di Potentino for a week of gastronomic discourse and delights. We spoke with Charlotte Horton about what she has planned for visitors to her gorgeous Tuscan property. Good Food Revolution: Hello Charlotte. It’s been four years since we last spoke with you. So how did you come to be hosting Terroir Tuscany at your Castello di Potentino property? 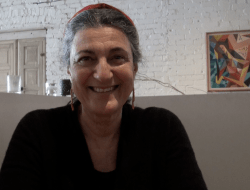 Charlotte Horton: Well – thanks to the wonderful inspirational Pamela Cuthbert (very active in the Slow Food movement in Canada) who is sadly no longer with us and much missed. She was a neighbour of mine for some years here in Tuscany. Knowing about Castello di Potentino and our project, she suggested I did a talk at the Terroir Symposium in Toronto. I said yes not really knowing what it was! I did some research, got to Toronto and then was suddenly at The Terroir Symposium talking. I instantly connected with Arlene Stein, the motor behind the event because the whole thing was so damned intelligent. Most importantly as an individual immersed within a remote rural situation, spearheading quite an alternative project and essentially working alone, I realised that I needed to get out there and learn how to find other people working and thinking like me, to become responsible about propagating what I believed in and what ultimately, I was dedicating my life to for pretty altruistic reasons without actually getting it out here. That is the extraordinary opportunity that Terroir creates – it has given me and many others that voice and encouraged us in that endeavour. It was, quite frankly, a moment of epiphany because it taught me the importance of communication, articulation and community. I was gently handled by Pamela, Arlene, and her team into feeling confident about doing that and given a structure to communicate to others what we were doing in the middle of ‘nowhere’ and above all being put in touch with a global community of like-minded people who were supporting the same concepts. Brilliant! – of course I wanted to work more with them as I felt a core group of people could come together and find support and exchange ideas in a pro-active way whilst teaching people how to do that. So Arlene has been spreading her network and extending reach – Terroir Tuscany is a re-think of what Tuscan food is now and looking back to its earliest roots, essentially as a model or paradigm of how human civilisation has really only been able to develop through a sustainable relationship with the natural environment – a practice we are very disconnected to at the moment but is how we have developed as humans – so perhaps we should be looking at this way of living again and learn something for the future. Modestly or perhaps we are in danger of losing our humaness. GFR: And it’s a pretty special property, isn’t it? Please tell us a little about the history of the Castello. CH: The first documented mention of the Castle is in 1042 but it has much older foundations – probably Etruscan as there have been several tombs and artefacts found in the vicinity that date to 800bc. There has been a continuous tradition of olive and vine cultivation in this valley for about 3,000 years and we are still doing it! The Knight’s Templar were also here in the early Medieval period. Maybe the Holy Grail is hidden in the Castle! GFR: I noted that you have a day dedicated to the study of the ancient Etruscan civilisation. For those of our readers unfamiliar with the Etruscans, would you please outline the impacts that they had upon your region and Italy as a whole? CH: The Etruscans were the civilisation that established themselves in the area now know as Tuscany and the region takes the name from them. They were pre-Roman and actually founded Rome which was taken from them by the Latins coming up from the South of Italy. The Latins then became know as the ‘Romans’ . They conquered the Tuscan lands and famously went on to form a very much larger Empire. The Etruscan probably came from Northern Turkey. They introduced most of the cultivation that has made Tuscan and Italian cuisine famous – wine, olive oil, sheep’s cheese, honey, pine nuts, etc etc. 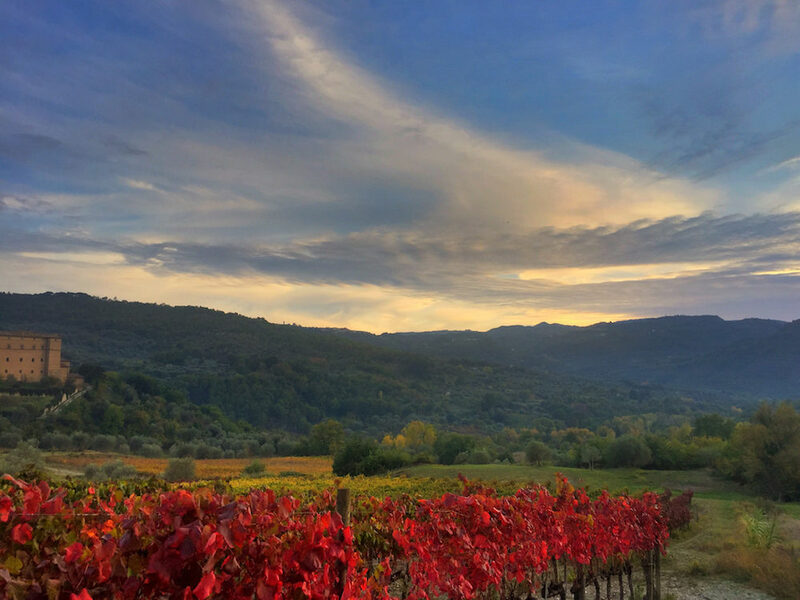 GFR: Of course you’ll be presenting a day centred wholly around the wines of Tuscany… what are you planning to surprise and delight your audience with? CH: A wine tasting of a wine made by bare feet in the ancient wine-making stone basins in our valley. Possibly very close to what the Etruscans might have made. GFR: I noticed that in the program you state “there’s much more to it than Sangiovese!” and that made me curious. CH: Looking at the history of the way that the culture of wine-making spread from the Etruscan wine trade in the Mediterranean in particular to France with the subsequent divulgation by the Romans of that viticulture throughout the country – it is possible that Pinot Noir maybe be related to early Etruscan Sangiovese clones. CH: I learnt to make wine before these discussions so all wine is by definition natural to me. I think people are confused by the terminology and most mass produced ‘wines’ should call themselves ‘wine beverages’ as they have so many additives they can no longer technically be called wine. GFR: I recall speaking with you about your received wisdom re: winemaking, and the fact that you were self-taught and forever learning. In the past four years what are the most significant things that you have learned about the winemaking process? from vineyard to glass? CH: I have learnt the importance of closer observation of the plant and creating a situation for the vine where it can self regulate and becomes more balanced in its production naturally. GFR: And upon the subject of climate change, what impacts have you witnessed this having upon your region, particularly since we last chatted? Are people becoming more aware of the issues we face regarding this? CH: There is a lot of denial. In my 30 years of Italian wine-making experience I see that now in some areas Tuscan harvests need to happen nearly a month earlier and irrigation is often necessary during growth and maturation. This is relatively new. People are aware of this phenomena but often are ‘covering up’ to maintain their businesses which is quite normal as a reaction to approaching disaster – especially the potential disaster related to climate change. 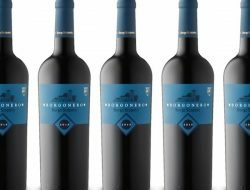 However – it is certainly changing the taste profile landscape for many Tuscan wines. We already know large Italian wineries are investing in more northern land like Romania and Moldova. GFR: On the Wednesday you have a day dedicated to olives, a topic that I am beginning to find more and more fascinating, as it’s taken me all these years to learn to taste the stuff properly. How important are olives to your region today? And how do you see this Olive day playing out? 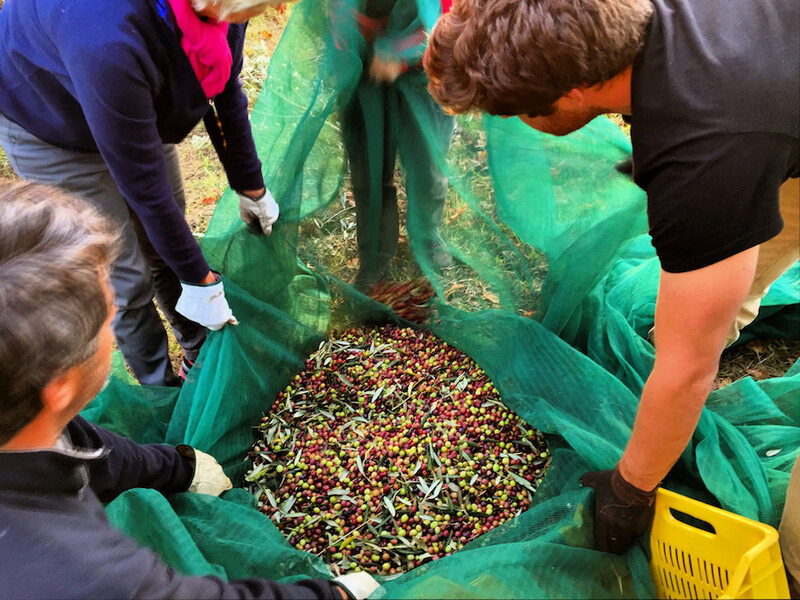 CH: We are going to get everyone involved in picking olives in the beautiful idyllic groves – which is very buccolic and fun for a bit and then everyone realises how much hard work it is! That is why good genuine olive oil is so expensive!! 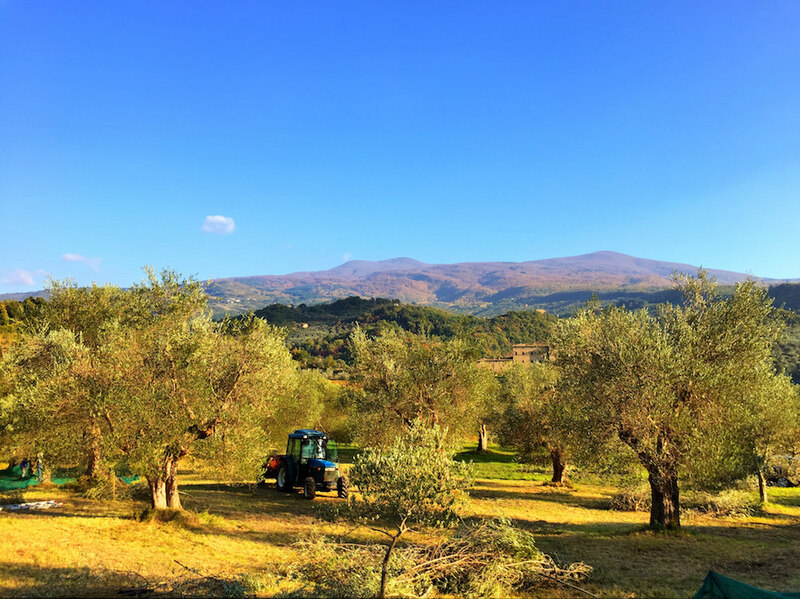 We have an olive variety that is indigenous to the area called the Olivastra Seggianese which produces a very elegant and highly prized olive oil. Economically it is an area to be developed but as so much fake Italian Olive Oil comes on the shop shelves at very low prices it is very difficult to deal with the competitive market. GFR: Do you grow olives upon your property? And if so what is the average size of your production? CH: We have about 600 trees – some of which are over a thousand years old. Due to climate change the production is becoming most irregular. GFR: And what about the issue of fake olive oil that we read so much about? CH: Regarding fake oil – it really is a serious problem for the producers as it pushes down the prices and creates a bad olive oil culture – people are confused and do not know what good olive oil actually tastes like. Unfortunately, it is a part of a massive agro-mafia network. GFR: And on the Wednesday the 7th (my birthday!) I see that that you’ll be looking at the cultural significance of the lowly sheep. Why did you choose to dedicate an entire day of the symposium to this humble animal? CH: Baa… Well Happy Birthday for the 7th!! The sheep is not lowly at all! It is historically considered to be one of the most important elements in the development of the human race! Cheese, wool – clothes to keep us warm – food when we travelled with the flock to find new pastures. You really could not move if you did not have your sheep. When you settled they processed the grass into food for you as well as providing yarn for weaving into tents or sacks for food transport. Lovely felt as well – the wool from our flock which we are making into hats is really beautiful and you can still see the little seeds and burs that got stuck in the fleece when the sheep were grazing in the textile. GFR: Before the final feast on the Friday, you’ll be spending a day discussing grains. Which particular grains are of most importance in your region? Both historically and today? And where do grains fit into everyday Tuscan life? CH: The Etruscans cultivated many grains and in particular farro or einkorn (spelt) which is still part of the Tuscan culinary menu. The idea is to plant several grains at the same time as they all have different ripening times so can be harvested at different times. This creates a biodiverse polyculture within the field and the longer stalked grains are protected by the shorter and therefore less vulnerable to wind or rain damage. It is a good intensive use of worked land. This was an Etruscan practice. It also means that if one variety has a difficult year you still have your grain for the winter! 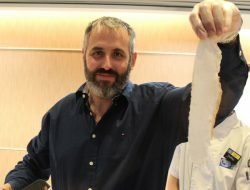 I will be working with Farell Monaco of Tavola Mediterranea fame – . She is a food archaeologist and studies the Pompei bakeries. GFR: Speaking of traditions, do you believe that people (and the methods of agriculture and production they embrace through the centuries) are as an important part of a certain area’s terroir as soil, aspect, macroclimate etc.? CH: I think all of the above develop together – hand in hand – through thousands of years along with micro life and biodiverse systems that build up in natural environments and in our own bodies. We know most of the body’s bionome is made up by place – where you are and what you eat – so if everything comes from somewhere we do not live – maybe our bodies bacterial make-up is becoming very very confused – all most schizophrenic! GFR: I’ll admit that I’m green with envy looking at this spectacular line-up over the course of the week… particularly the feast day that you have planned for the Friday. Just to make my mouth water a little more, tell me a little about exactly what you have planned for this closing celebration? 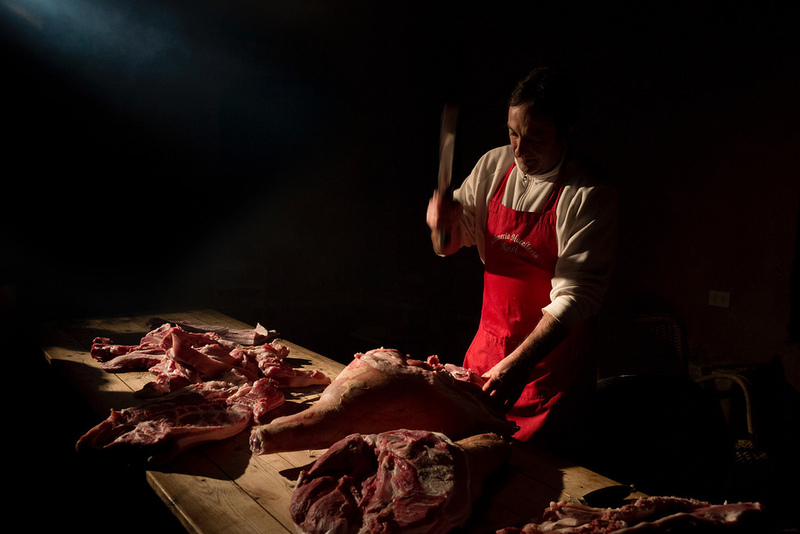 CH: Lots of wine – lambs and piglets on a spit, the local mountain singers and surprises from all the cooks who will be there! Do come! GFR: Charlotte, thank you so much for your time, and all the best with your Terroir symposium at Castello di Potentino. You must come and visit one day! To learn more about next month’s Terroir Talk in Tuscany click here. 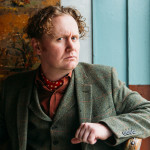 Edinburgh-born/Toronto-based Sommelier, consultant, writer, judge, and educator Jamie Drummond is the Director of Programs/Editor of Good Food Revolution… And he wishes he could be attending Terroir in Tuscany. One day!